I look for things so you don't have to. Really, over 25 years. 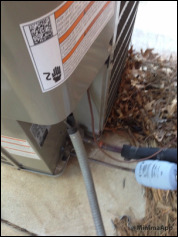 ​My previous employment includes working with electrical and plumbing contractors, Oklahoma City building maintenance and have an education in the HVAC field. I am not here to take advantage of or scare anyone. My first priority is with my client and realtor.I work for them. I take 40-60 pictures of the prospective home and will go through them with the client at the end of the inspection. I will have the report in your email by 5 pm the next day. You can review and ask any questions/concerns that you might have. You can ask anything about the inspection that we haven't gone over at the home. I welcome you to go along with me on the inspection so I could explain why there is a concern or where there is concern. I will try to put your mind at ease so you can make a good decision. You are making a purchase/sale of thousands of dollars wouldn't it be worth the few hundred to have that peace of mind. If you choose a different inspector I will still answer any questions/concerns you might have, I'm here to help. Your inspection request is very important and necessary and take pride in my work. Let me know about your inspection. Was the inspection a benefit? Were you comfortable with the report? At ARP Inspection .... I believe the answers will be "YES". Craig Prom did an excellent job on our house inspection. The roof needed some work and might have been missed if not for Craig. He is very thorough, friendly, and answered all of our questions. We really appreciate the work he did for us. Mr. Prom did the home inspection on the home we just purchased. He was punctual, professional and very thorough. His report was comprehensive and detailed, he didn't miss a thing. I would highly recommend him for your home inspection and will definitely use him again if we buy another home. I am the buyer's realtor and this is my opinion. The inspector is pleasant and dependable, showed up at my requested appointment time and is very thorough. 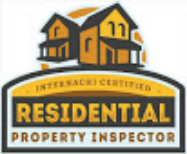 Inspector points out any deficiencies in property to prospective buyer and their realtor. He gives very descriptive report along with pictures in a timely manner. I would definitely use him if I were purchasing a home for myself. Great Job!! !